Written and directed by Tobias Lindholm. With Pilou Asbæk and Søren Malling. Opens Friday. 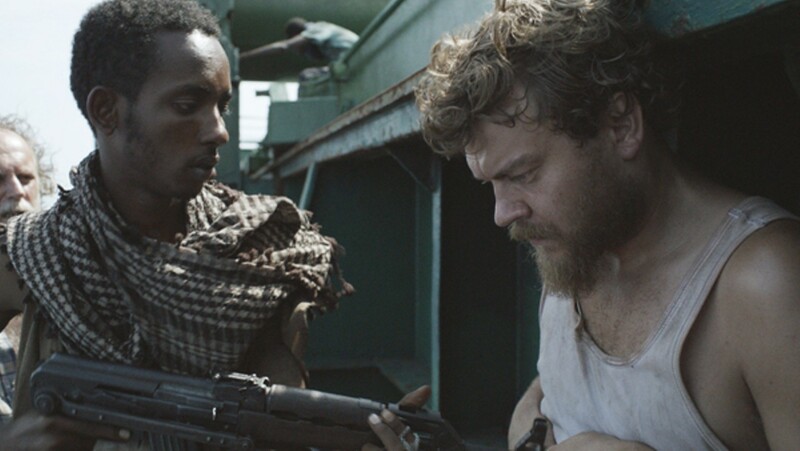 Tobias Lindholm's A Hijacking has a documentary look and feel, but it's a narrative fictional riff on one of the most durable topics of them all: pirates and their victims. The Danish-owned freighter MZ Rozen is crossing the Indian Ocean a few days away from its destination, Mumbai, when suddenly a fishing boat appears in its wake and the ship is captured by Somali pirates who demand an impossible number of million dollars in ransom. The owners back in Copenhagen balk at that, and so the sweaty, terrified crew is stuck on a drifting ship in tropical latitudes with AK-47s in their faces, while the company negotiates with the trigger-happy pirates. In most mainstream movies like this there would be a hero and female love interest on board, and their ordeal would only strengthen their connection to each other, if they can somehow live through it. No such luck on the Rozen. 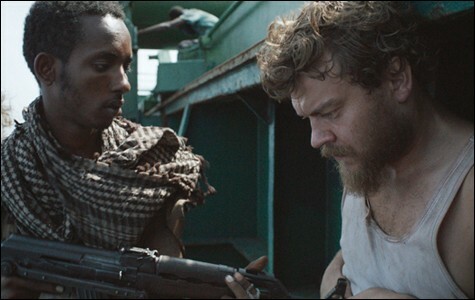 The central figure in the all-male crew is Mikkel (actor Pilou Asbæk), the congenially scruffy cook, through whose eyes we witness just what happens when he and his mates are forced to never leave a cramped cabin for any reason for more than a week. A Hijacking is not showing in any theaters in the area.